Give flowering maple (Abutilon) bright light and cooler winter temperatures to enjoy their beauty all year long. The solid green or variegated maple-shaped leaves inspired their common name. Plants may be compact and upright or vining, while the flowers may resemble those of hibiscus or dangling lanterns. Select varieties known for year-round flowering. Create a focal point with the unique blooms of chenille plant (Acalypha). Enjoy the coppery bronze flowers of the shrimp plant (Justica brandegeana). This long blooming Mexican native performs best in bright light and high humidity. Use it as a hanging basket, prune into a small tree or set it upon a plant stand where the cascading shrimp-like flowers can be enjoyed. 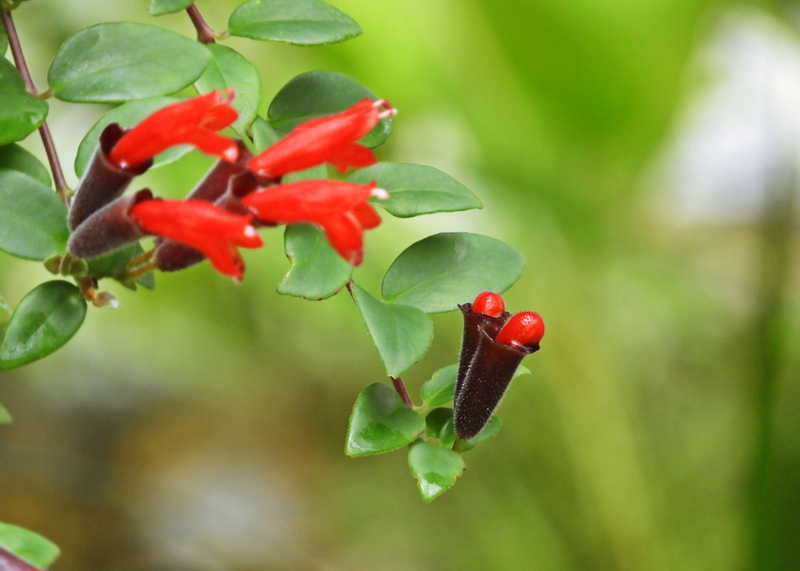 Brighten your fall and winter décor with lipstick vine (Aeschynanthus). The vivid red flowers emerge from dark maroon structures, resembling a tube of lipstick. 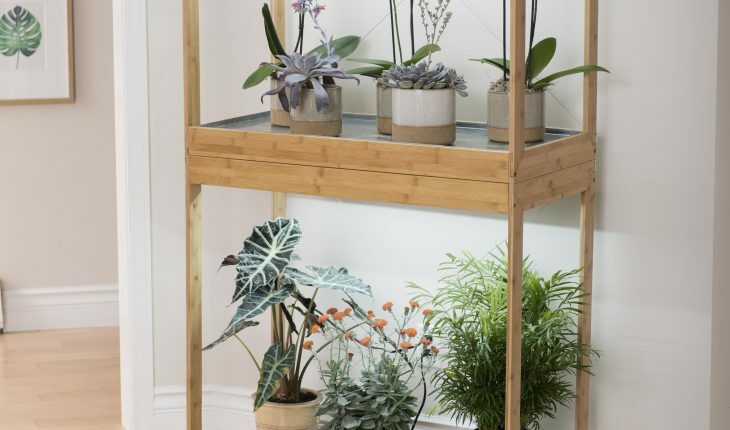 The glossy green foliage adds needed greenery indoors throughout the year. The more light these plants receive, the better the floral display.